Are you somebody who see’s stories on your social media apps, but doesn’t really know how to use them? If you’re seeing other dental practices posting great stories every day and are ready to be part of the action, keep reading to learn all about what stories can offer. What are social media stories? Starting with the basics, social media stories are pictures and videos restricted in length, and the time they’re available. Think of them as a visual status update that vanishes after 24 hours. They appear separately from your posts, and can be a great way to get information about your dental practice out to your patients quickly and easily. The stories feature began on the image sharing platform Snapchat, and later came to Instagram in 2016 to compete. Since then, Facebook and YouTube have also both adopted the feature. Some dental practices shy away from social media stories as they feel they’re not professional, or they don’t really understand their value. Keep reading to learn why social media stories could help your practice without tarnishing its professionalism, how to create a story, and what you can do with them. Why are social media stories valuable? An Ipsos survey found that 69% of people surveyed said that stories are a great way for them to get to know about new products and services from brands. This could benefit your practice in many ways, because it can get information out quickly. Maybe you’ve just got in some new equipment that allows you to offer new procedures, or you want to tell everyone your latest newsletter is out. Stories could be a great way to share this information quickly, followed by more details in a full post. The same survey also found that 62% of people said they became more interested in a product or brand because they had seen it in stories. Regular stories can work simply as a reminder to your followers that you exist, and what you have available. This keeps you at the front of their minds, which could mean they choose you next time they need a new dentist or are considering a new treatment. Let’s start with Instagram. A good example to check out is Bury Dental, run by Dr Daniel Chung. Daniel makes use of all the features stories have to offer to put out light-hearted but still informative content. To get an idea of what you can do with stories, take a look at his account. To access yours and other’s stories, go to the top of the page on mobile, and look on the right hand side under your profile name on desktop. To begin creating a story, open Instagram on your phone. At the top of the screen you will see the stories of everyone you follow. In the top right hand corner you will see your profile picture, saying ‘Your Story’ underneath. Tap the plus sign to add a story. This will open the camera, allowing you to take a photographs and videos of whatever you’d like to post. You can only add one photograph at a time, and videos have a maximum length of 15 seconds. However, if you keep filming you can upload more video, it will just appear in 15 second slots. You can also use content you’ve already taken from your camera roll. What can I do with Instagram stories? Instagram has lots of great built in features to make your stories more interesting and fun. Some features are for before the video and content are taken, and some can be added after. Before taking your photo or video, swipe left and right at the bottom of the screen to explore the tools. You can use the text feature if you don’t have an appropriate image to share, but need to get information out there quickly. This simply provides colourful backgrounds to put text over. The music feature allows you to add a section of a song to your post before recording. The live feature means you can instantly stream live to your followers via stories. Live videos can be up to one hour long. Boomerang is a more fun tool, taking a short video and looping it normally and in rewind. Think of it as though you’re making an animated GIF. Dentists might use this tool to film their patients or nurses doing funny things, or to entertain your followers and take a break from pushing advertising and information on them. Superzoom is another fun video feature, which zooms in to whatever you want to film adding fun filters and animations. The focus feature blurs the background of your photographs, emphasizing whatever is in the foreground of your image. The rewind feature simply rewinds your video and plays it backwards, which could again be used for comedy purposes. Finally, the hands-free option allows you to film without holding down the camera button. Once you have your content, among text you can add emojis, gifs, stickers, geotags, polls and questions your followers can answer. All of this is available in the smiley face tab in the top right corner. These features make your stories more interesting, but also allow followers to interact with them, which increases engagement. They can also be used to inform, like geotagging the location of your dental practice, or tagging (known as mentioning) another dental account you would like to refer to. You can also select the pen tool to draw over your images or video, but this might not necessarily always be appropriate for your practices account, unless you’re a great artist! Doodles and scribbles might not get across the professional feel you’re trying to achieve. A feature unique to Instagram is archiving your stories to later be viewed by your followers on your profile. This means you can save any of your favourite stories, or any that are particularly informative. For example, you might create a story breaking down all the dental treatments and services you offer with their price or some information about them. This can then be saved to be viewed any time, and that information will always be readily available. Even though you will likely have this information on your website, viewing it in a story can be more fun, simpler, and can be seen by somebody who might just be checking out your social media. Archived stories are called highlights, and they sit on your profile underneath your description. To create one, go to your profile and tap ‘new’ under your bio. This will pop up all your past stories. You can select one, edit it’s preview picture, and give it a name. An important thing to remember about Instagram stories is that they only last 24 hours, so if you want your followers to access them after that time, they’ll only be able to do so if you put it in your highlights. ‘jacarandasmilesfl’ on Instagram are a great example of using highlights to archive information but also entertainment. Their highlights include categories like their invisilign and laser treatments, but also ‘Friday Fun’ and ‘Our Patients,’ where they post funny pictures and videos. Facebook stories are a newer addition to the platform, rolling out in 2017 after the success of the feature on Instagram. They appear at the top of the screen below your status on mobile, and on the top right-hand side on desktop. Stories also appear on the Facebook Messenger app, but these are only for your personal friends, not groups you follow and like. For that reason, we won’t be going into those today, as they’re for personal rather than professional use. Stories on Facebook don’t differ much from Instagram and can be used in your favour in a lot of the same ways. Unlike Instagram, stories on Facebook can be made both on your computer and on your phone. 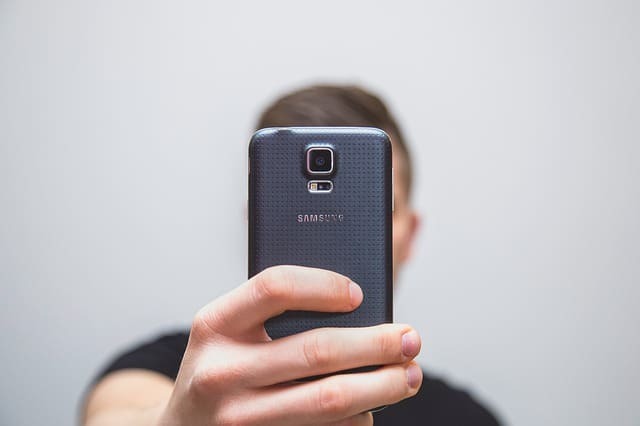 Using your phone will likely be much easier, as it has the benefit of being able to take pictures and videos to post. Posting a story on your laptop means you can only use content saved to your computer- you can’t take anything new there and then to add straight to it. Firstly, to add to your story on your phone, open the Facebook app and go to your page. Tap the plus sign on your profile picture to get started. Since Facebook and Instagram are owned by the same people, you might notice that the stories feature looks quite similar and has some of the same features. Take the photograph or video you want from the camera or add one in from your camera roll in the bottom right corner. Videos can be a little longer than Instagram- up to twenty seconds. What can I do with Facebook stories? Facebook stories don’t have as many additional features as Instagram, but the do have a few Instagram doesn’t. Boomerang is available in the same way, by swiping to the right to access it. However, unlike Instagram stories, Facebook has a fun range of borders, face filters and image filters at your disposal. Face filters, similar to what’s available on snapchat, are added before filming or taking a photo, and can be found on the right-hand side of the camera button. Tap the smiley face and scroll along to turn your face into a cute cat, add sunglasses, cats or rabbit ears. This might not seem like it could be used professionally, but it could be a way to make what would otherwise be a video of you talking delivering some potentially boring information a lot more fun. Borders and filters can be added once the photograph or video has been taken. Tap ‘effects’ in the bottom left corner to explore the different borders and filters for your content. These have a less obvious professional application, but they’re there if you ever want to spice up a potentially dull post or make the colours in a picture pop. Once you have your image or video, tap to add text. Options to change the colour, alignment and font style will appear below your text, and like Instagram you can pinch and drag to resize and drag it to wherever you like on the screen. Again, similar to Instagram, you can add stickers, polls, timestamps, geotags and tag people in the smiley post-it notes icon in the top right corner. Scroll for more sticker and emoji options. Anything followers can interact with will peak their interest. When you’re done tap ‘Page Story’ in the bottom left corner to post. You can also again save the story if you want to use it later. Like Instagram, Facebook stories vanish after 24 hours. It’s important to learn how to save stories you’ve created to your camera roll for general reference or if you need them again, but also because stories can also be a great content creation tool for other platforms. For example, you need to make a quick but good looking graphic for Twitter, or maybe you need to add text over an image for an Instagram post. Doing this in stories can mean it can be made really quickly and look good, without having to faff around in photoshop. This won’t always work for what you need, but could be ideal for a quick solution. Here’s an example from Oakley Dental, where they used something they created on Instagram stories for their Facebook story. Another benefit of using stories is the casual tone they convey. It is said that every one in ten people are afraid of going to the dentist, but an existing or potential new customer looking at your social media can watch your stories and see you having fun with your patients or nurses. This might help aliviate some of their anxiety about going to the dentist. A final tip would be to always consider your demographic. Demographics vary across the two platforms, but you know your own unique demographics the best. Think about who follows you and who your customers are. What do they like and what do they want to see? You can discover this more by exploring which stories get more interaction and views and find out what your followers like. If you’re new to stories, all the features and steps can seem overwhelming, but once you give it a try and build up your experience, the benefits your social media will see will be more than worth it, and will hopefully lead to a positive reflection on your practice. Stories aren’t necessarily about gaining more patients but building trust and brand awareness with the ones you already have. Drop us a message if you want to know more about how to use social media and marketing to start getting new patients.